This is a new beginning for me. 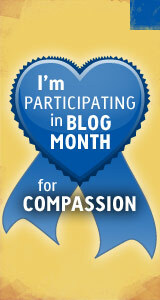 I’ve been blogging on and off for six or seven years now. I’ve never run my own blog though, preferring to rely in either the Blogger.com platform or most recently the Tumblr platform. While the former exists only as a record of what I have written, the later will probably remain active if for no other reason than I like the way the platform works. However as a writer, and someone with a manic detail oriented personality, I want a medium that affords me the most amount of control with the least amount of ‘sweat’ equity on my part. So while I could build my own web server and host my own site there, I’ll let someone else handle the heavy lifting so I can concentrate on the writing. So welcome to my new corner of the ‘net. Grab a cup of coffee and enjoy the journey with me. This entry was posted in Random thoughts and tagged blogger, new blog, tumblr, Welcome. Bookmark the permalink.